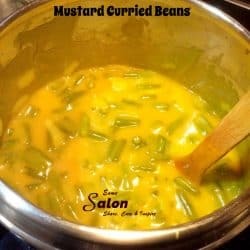 This is my adapted version of an old favorite recipe. 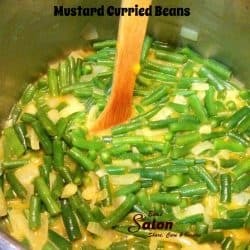 Mustard Curried Pickled Beans is a delicious side dish in the summer or can also form part of your roast dinner any time of the year! 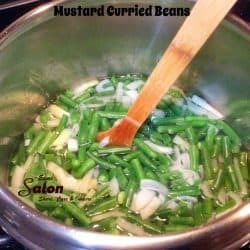 In a large pot, mix the beans and onions and add water, just enough to cover the vegetables. Cook until al dente (cooked to be firm to the bite). You may wish to drain the excess water (I did) if it’s too much. Add the vinegar and sugar to the remaining water. Continue to cook this mixture, slowly, until vegetables are soft but not too soft. In a separate bowl, mix the sauce ingredients with 1 cup white vinegar and some of the sugar/vinegar mixture. Mix everything together with the beans and onions and continue to cook until cooked through and the sauce thickened. 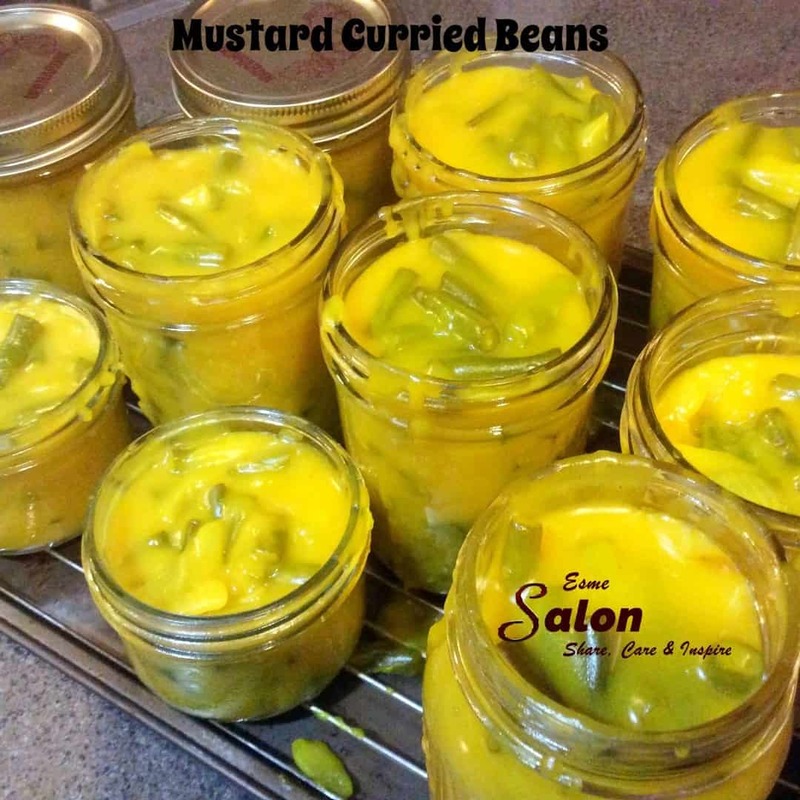 Prepared sterilized bottles and while bottles and mixture still hot (but manageable to handle) spoon Mustard Curried Beans into the bottles and seal. Clean the outside of the bottles, as it will be sticky, and once it is cold store and enjoy it. These sound fabulous. And easy….that’s right up my alley. These sound terrific! I love to find out new recipe where turmeric is required.. it means there will not only be good but also beneficial! Dear Sue – thanks so much, hope you will also enjoy it. I made it for Christmas and all enjoyed it tremendously.